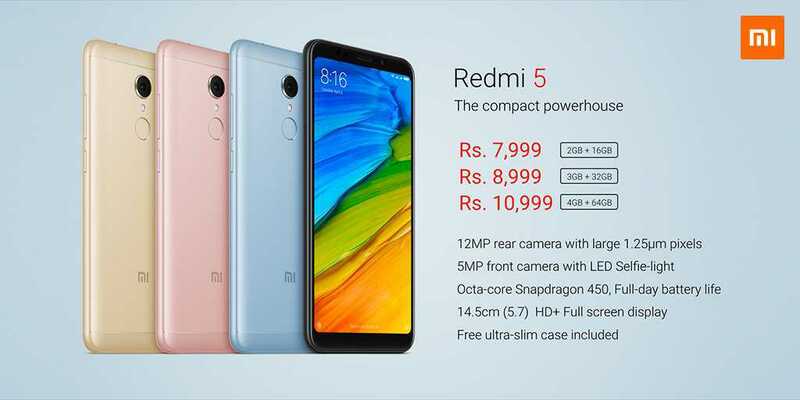 Chinese smartphone manufacturer Xiaomi launched budget friendly Redmi 5 in India last week on 14th March. The phone will come in three variants- 2GB RAM + 16GB ROM, 3GB RAM + 32GB ROM and 4GB RAM + 64GB ROM. 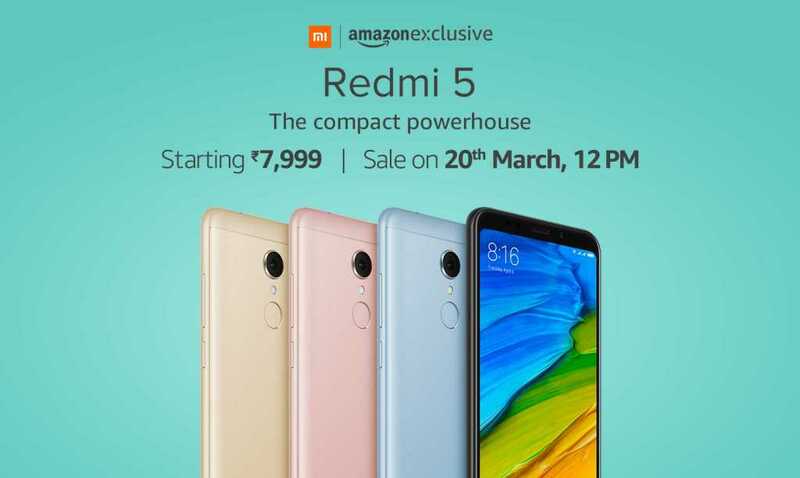 The first flash sale of Redmi 5 will go live tomorrow (20th March) on Amazon.in, Mi.com and MI Home stores. There is an exciting Reliance Jio offer with which the effective starting price of the phone will drop to Rs. 5,799 instead of 7,999 for the base variant i.e. 2GB RAM + 16GB Internal Storage. The effective price for 3GB RAM and 4GB RAM models under the same offer will be Rs. 6,799 and Rs. 8,799 respectively. But there’s a catch. This cashback will be credited to the users account in the form of 44 cashback vouchers worth Rs. 50 each in the MyJio App. In order to avail this offer, users will have to get a recharge done on the eligible Redmi 5 device. For the extra 100GB data, users will have to get a minimum recharge of Rs. 198 or above on the Jio network. SBI Card- There is 5% Instant Discount if you purchase the phone using SBI Credit Card. Amazon Kindle Offer- Buyers will get 90% OFF on Amazon Kindle ebooks but there is an upper cap of Rs. 400. Interested buyers will have to register in advance on Amazon.in and Mi.com in order to participate in the flash sale. It is still not clear when will the phone be available for sale offline.